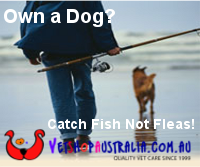 FishMax - THE Australian Online Fishing Magazine: Best 4WD Hire for Christmas 2012 in Australia? Best 4WD Hire for Christmas 2012 in Australia? Is Sargent the best 4WD Hire in Australia? If you're going to hit the great Australian outdoors this Christmas and you're looking to hire a four wheel drive, then look no further than Sargent 4WD Hire. You may know that Sargent is the leading company for Australian 4WD vehicle hire for mines and industry, but did you also know that this during the 2012 Christmas holidays in Australia, the public can hire a Landcruiser from Sargent's from as little as $79 a day*? FishMax recently had the opportunity to take a Landcruiser 76 Series Wagon from Sargents for the week-end and we have to say this is by far the best 4WD hire experience we've ever had. Not only were the team at Sargent helpful and knowledgeable and got us through both the initial hire and the return process quickly and with no fuss, but the vehicle was also perfect for the job. Although the vehicle has few "mod cons", it was the ideal fisherman's hire - heaps of room, tow bar, bull bar and CB radio and the tough after-market oilskin seat covers fitted by Sargent meant we didn't need to be precious about jumping in to the vehicle while wearing our dirty fishing gear! The vehicles are also obviously well looked after- when we collected ours it was spotless and mechanically A1. No fears that some other clown had trashed it on the last hire and we would be left stranded somewhere with a problem (and if there is a problem, there's a 24 hour rescue number you can call). Pick up and return is quick and the cars are tough as boots! 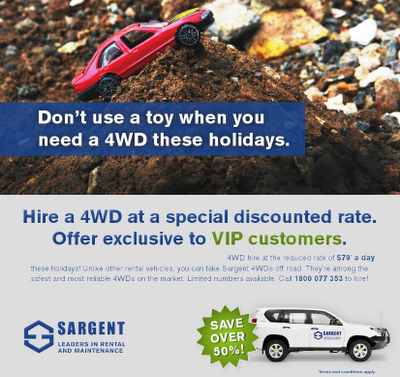 While we haven't actually tried every Australian 4WD hire company, after the great experience with Sargent's we'd have to say it's got to be one of the best Australian 4WD companies out there. And at just $79 a day* for 4WD hire this Christmas, you'd be made not to give them a call. For more details visit www.sargent.com.au or call them on 1800 077 353. * terms and conditions apply - contact Sargent's on 1800 077 353 for details. great deal! Fraser Island here we come!